WhatUpDoe - Carhartt WIP proudly presents a small and soulful collection in cooperation with none other than Detroit’s finest Kenny Dixon Jr aka Moodymann. The long standing DJ and producer is globally famed for pioneering his own house and genre-bending electronic music productions, remixes for artists like Lana Del Rey or Junior Boys, his unique DJ skills and his groundbreaking record labels like KDJ, Mahogani, NFD and Private Collection. Together with Carhartt WIP he now launches a compact clothing collection accompanied by a very special, limited UDG DJ bag. 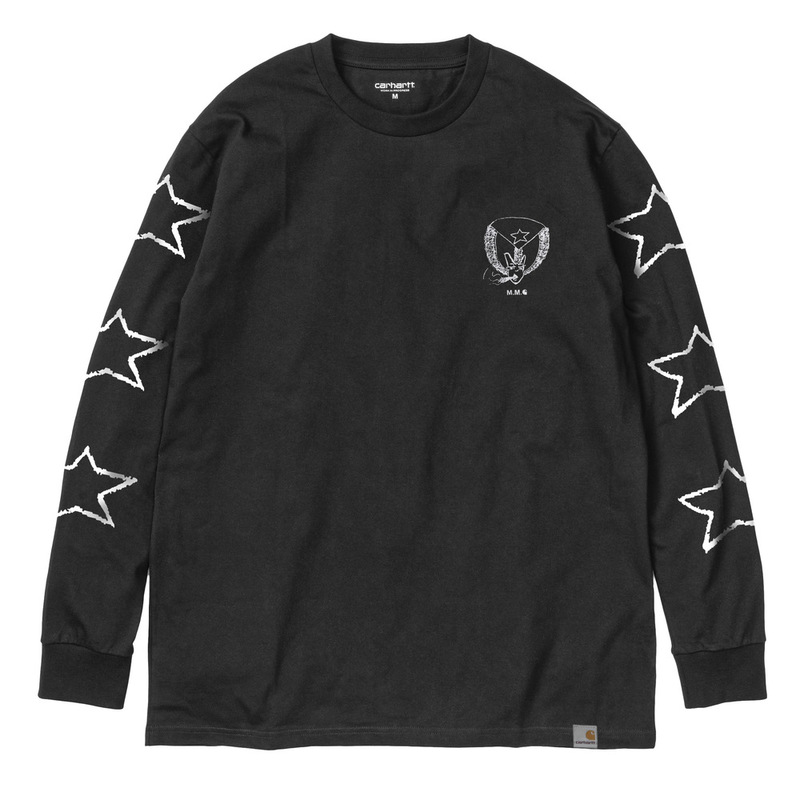 The garments consist of two long sleeve shirts - the MMC Detroit Soul Skate and MMC Set U Free T-Shirts – and the MMC Triple Logo T-Shirt. Each shirt toys around with iconic graphics from Moodymann’s larger than life record labels Mahogani Music and KDJ Records. His limited Carhartt WIP x Mahogani Music UDG Sling Bag Trolley Deluxe is specially designed to protect your vinyl and DJ gear during travelling. With a capacity up to 60 records, this bag is perfect for mobile vinyl DJs. It comes in the classic Carhartt Brown Dearborn Canvas 12oz. To complete the liaison a limited 7inch vinyl will hit the Carhartt WIP stores. It features a KDJ classic in a never released short version: Moodymann’s “J.A.N.” from 2001. On the B-Side the track “5800 Cass Ave.” hangs out – a brand new Moodymann tune that refers to a special address in his hometown and that comes with a running time of exactly 3.13 Minutes! Tracklisting: 1. J.A.N. 2. 5800 Cass Ave.